The LibraryFarm is an organic community garden on one-half acre of land owned by the Northern Onondaga Public Library in Cicero, NY. Anyone can “check out” a plot! The purpose of the LibraryFarm is to provide a place for the community to grow, share and learn about food literacy, and organic, sustainable gardening. 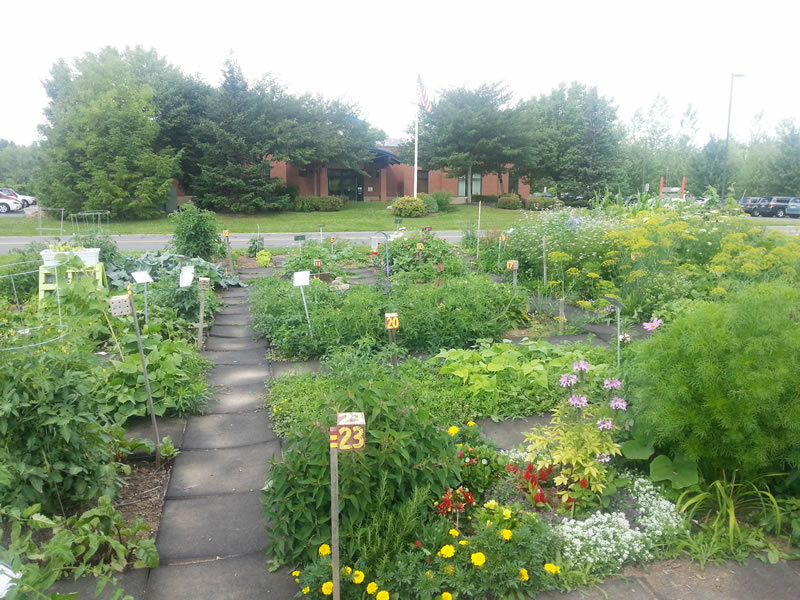 At the LibraryFarm, half of the area is dedicated to the Food Pantry Garden; the other half is dedicated to the LibraryFarm Plotters – our individual gardeners. All gardeners agree to follow organic growing practices. We host approximately 25 to 30 Individual gardeners each year. We host an annual Open House in June every year. Please visit www.nopl.org/library-farm to find out more about how to get involved at this garden.